SPOILER ALERT: Continue reading for spoilers from this week’s ongoing Endurance Head of Household competition on Big Brother 12. 6:15 Brendon’s lead is growing over Lane. 6:10 Feeds return with Brendon having a slight lead, followed closely by Lane. 6:02pm The live feeds will return soon and we will keep you updated. But watch for yourself with a 3-day free trial! Tonight’s HOH competition requires the houseguests to untangle a long rope through a web. Watch it play out on the live feeds. If tonight is an Endurance Head of Household competition, be prepared to watch it play out in real-time on the live feeds with a 3-day free trial! By a vote of 6 to 0, Rachel is evicted from the Big Brother house. 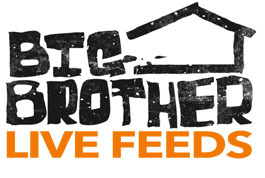 ‘Big Brother’ Returns With Two-Night Premiere Event June 24th!